InvisiNet is so sheer that even the mosquitoes won't see it coming! At Adventure Medical Kits we believe you shouldn't have to put a dark screen between you and the spectacular views you've ventured to attain, so sit back and savor the scenery while keeping the pesky bugs away. 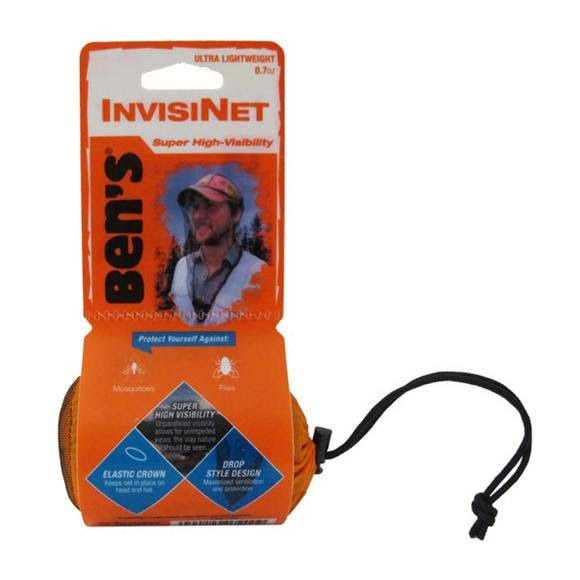 Ben's InvisiNet is the perfect complement to a bottle of Ben's Tick and Insect repellent, and at only . InvisiNet is so sheer that even the mosquitoes won&apos;t see it coming! At Adventure Medical Kits we believe you shouldn&apos;t have to put a dark screen between you and the spectacular views you&apos;ve ventured to attain, so sit back and savor the scenery while keeping the pesky bugs away. Ben&apos;s InvisiNet is the perfect complement to a bottle of Ben&apos;s Tick and Insect repellent, and at only .7 of an ounce it&apos;s easy to pack on every trip.